On the blog Te Deum Laudamus, Diane Korzeniewski has posted the schedule for EF Holy Week services at Assumption Grotto in Detroit, along with some nice pictures of last year’s ceremonies. Click here to see the full schedule. 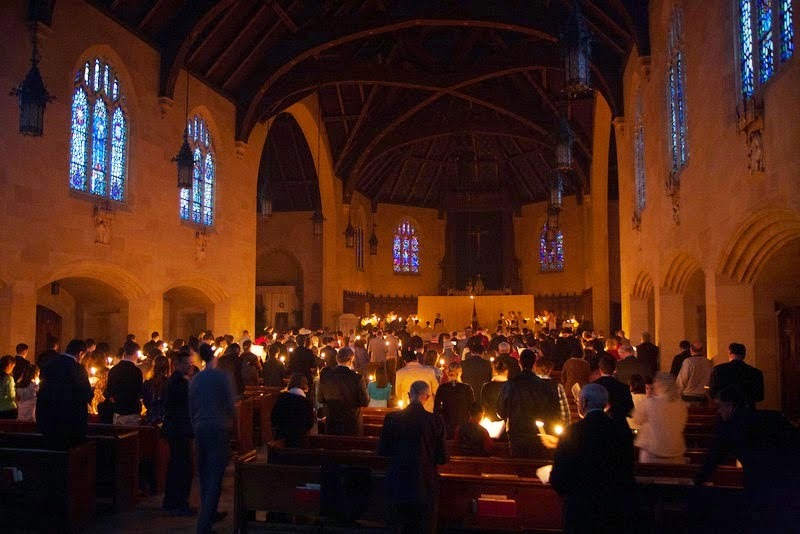 The Saint Anne Chapel in Palo Alto, California, (541 Melville Ave.) will host a Tenebrae service this evening, with the Lamentations of Jeremiah by in the setting by Victoria. 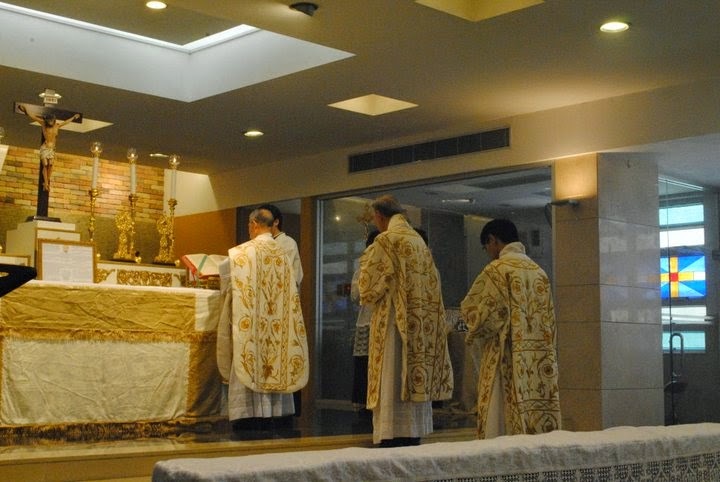 There will also be services at the church of St Thomas Aquinas, 751 Waverly St. with chant and polyphony, including works of Byrd, Morales and Palestrina, on each day of the Triduum, and two services on Easter Sunday (Mass and Vespers) at St Ann’s. Click here for the full schedule.